← LipoRush by BPM Labs Australia – Is this Fat Burner Recommended? 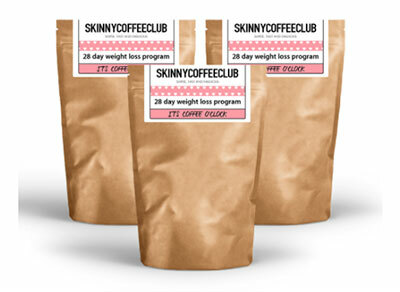 Skinny Coffee Club – Is It a Viable Weight Loss Program? 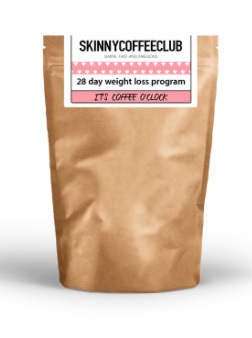 Skinny Coffee Club is an online store which offers a blend of coffee and other ingredients to be used as a weight loss beverage, marketed toward women. The bags of the coffee based formula come in various packages, depending on how much you want your program to last, from 28 days to 12 weeks. There is a Day/Original blend and a Night Edition, which contains decaffeinated coffee and healthy antioxidants/superfoods. The coffee is easier to drink than green tea but not nearly has nice as a real coffee. Weight loss results from Skinny Coffee are mild but there is a health factor to the drink and it does indeed improve the look of your skin after a few weeks of using it. Overall though, a bit disappointing as a fat burner. 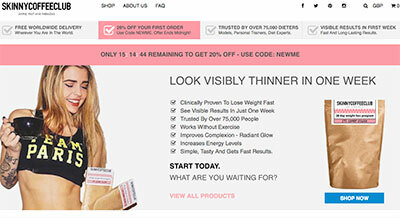 Use the link below to see the products we highly recommend for losing fat effectively. Continue reading for the rest of the review. * This, they say is clinically proven – likely due to the extensive research into caffeine, which is indeed a proven fat burner. Garcinia, Green Coffee and Green Tea also have their fair share of research. However, the dose of caffeine itself is quite low in Skinny Coffee, and the others cannot be very strong otherwise this drink would taste foul. The point being: “clinically proven” and “significantly effective” are two different things. ** All weight loss supplements and drinks should work without exercise. That is the point of chemically induced thermogenesis versus exercise induced thermogenesis. Diet and Exercise, however, are vastly more important than weight loss supplements. We think this flippant “Works Without Exercise” idea encourages women to lose weight without working out, which is clearly not what in their best interests. Aside from our above reservations about the wording, we are happy to give the Skinny Coffee Club a fair shot. The key to any weight loss product is the ingredients, so we’ll have a look at those next. As mentioned, there is a Day (Original) blend and a Night Edition. Coffee contains caffeine which is one of the more common fat burners in supplements. Here it is included at 63mg per serving, which is mild even for an average cup of coffee. Green Coffee beans contain chlorogenic acid – a compound which is reported to be able to block some carbs/sugars from being absorbed, thus preventing some being converted to fat. It is also an antioxidant and can reduce blood pressure. Green Tea is another well established thermogenic fat burner and antioxidant. Concentrated amounts from 300 to 500mg are usually required to do anything. At the cup-of-green-tea level, it won’t do much to your waistline. Garcinia contains hydroxycitric acid (HCA) which may reduce hunger through the serotonin pathway. 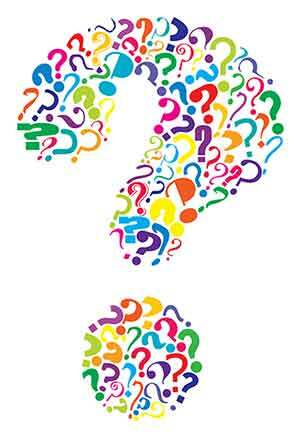 There may also be appetite suppressing mechanisms which are not fully understood as yet. Optimal dosage has not yet been established, though many standalone HCA supplements contain 1500mg per day dose. Siberian Ginseng is an adaptogen which are fairly mysterious compounds that are able to reduce the effect of chemical and physical stress. Adaptogens are great for mood. There is research showing its ability to increase fat oxidation as well. Spirulina is a protein rich blue-green algae that has been given the non-technical designation of ‘superfood’ by the health and nutrition community. Spirulina improves lipid and glucose metabolism and can reduce liver fat while protecting the heart. Fennel is often used to improve flavour (a good thing in the case of Skinny Coffee) and can have some slightly medicinal qualities like anti-inflammation, anti-oxidant and analgesic effects. Chlorella is a fresh water algae and one of the few that contain bioactive B12 and can be used by vegans to make sure they are getting enough of the precious B vitamin. There should be no negative side effects of any great impact, although people would be wise to check with their doctor if they are taking medication as to whether they should be using the ingredients in Skinny Coffee Club’s products. Pregnant and breastfeeding women should also avoid Skinny Coffee and only take supplements which have been recommended by the doctor monitoring them. Other medical conditions are subject to doctors’ discretion also. Skinny Coffee Club’s product might be a good addition to your diet and exercise routine, but don’t expect it to burn lots of fat off just by itself. For a similar price, there are more powerful options that we can recommend (follow the link below). For what it’s worth, there are some excellent ingredients in Skinny Coffee, and they are definitely complexion friendly as well as combatting all sorts of nasty carcinogens and oxidants in our bodies. If they’d marketed it more as a health coffee then we’d be more inclined to say that it does indeed do what they claim it does. However, the word ‘Skinny’ is in the name, and that’s what it’s being judged on.